Every Autumn occasion, The Northwest reappeared the yellow shirts over the valleys across the hills. A fascinating yellow color that anyone who has the opportunity to come here even once is hard to forget. 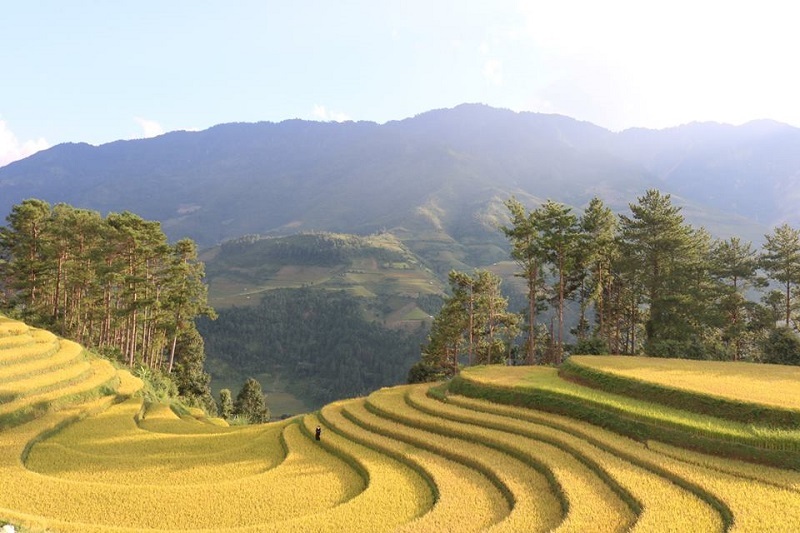 How different is Mu Cang Chai in September? If you are a travel enthusiast, you will not miss a glorious golden season in Mu Cang Chai, attractive destination attracts many travelers looking for a trip to set foot in the middle of the golden season here. 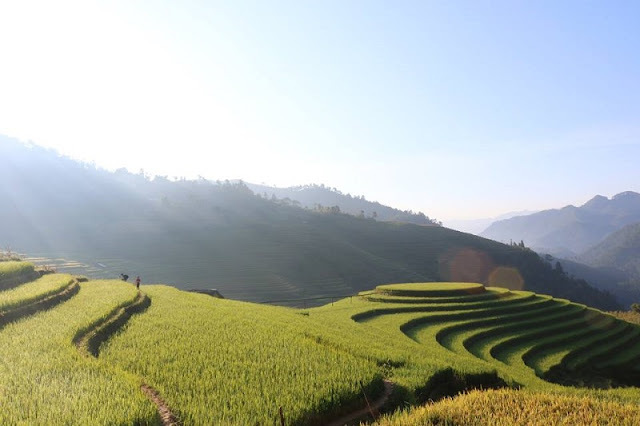 Looking at the beauty of the golden season in Mu Cang Chai, the most appropriate time is between September to early October each year, when the terraces in the ninth season yellow gold, stretching on the road from Tu Le to Mu Cang Chai pass Khau Pha pass. If we are fortunate enough to meet the weather, we will be able to see the blue sky, white clouds and yellow sun glittering on the terraced fields, the distant mountains are undulating to create a picture of the majestic again. poetry. 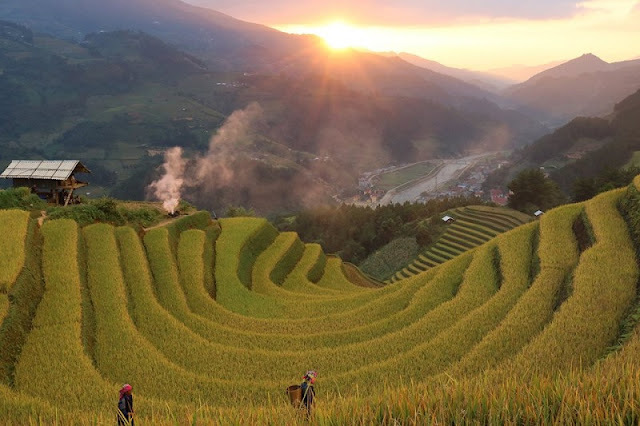 To enjoy the whole golden season here, you only need to spend two days weekend, go from Hanoi to Tu Le or Mu Cang Chai, from this two point we go through Khau Pha Pass through the beautiful rice mesmerizing spots as La Pan Tan, Che Cu Nha, Lim Mong ... Or just go along the road from Mu Cang Chai to Tu Le pass through Khau Pha pass, the terraced rice fields are enough to attract any visitors have the opportunity to go through this route in the ripe rice season. In the season of Mu Cang Chai ripe rice is very crowded tourists, from groups to groups, the town more crowded than ever. We were fortunate enough to ask for a Thai house to stay that night without staying in the town. The first time I slept in a Thai house with my whole family, it was an interesting experience beyond the plan. Evening in the Thai version of the dance sap, the Thai girls dance spread in the cultural house. This cultural activity usually takes place only in the weeks of ripe rice for tourists. 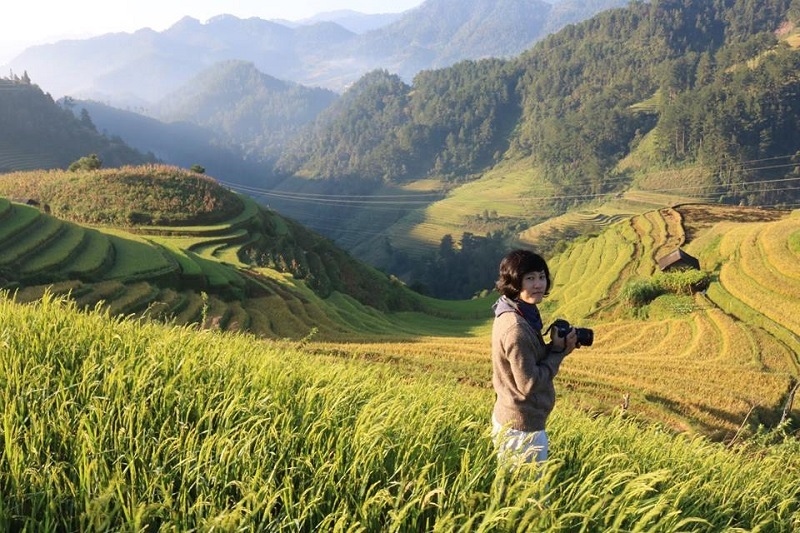 Mu Cang Chai tours is a well known destination. However, this place still retains the cultural values of Mong ethnic Thai people, gentle, rustic and hospitable. Because of that, anyone who has ever visited here once wants to come back to catch the golden season or relax in the autumn weather.